We are committed to safeguarding the welfare of all children, young persons and adults at risk in our sport and our aim is to ensure all who participate in gymnastics have a safe, fun, positive experience and are able to fulfil their potential. 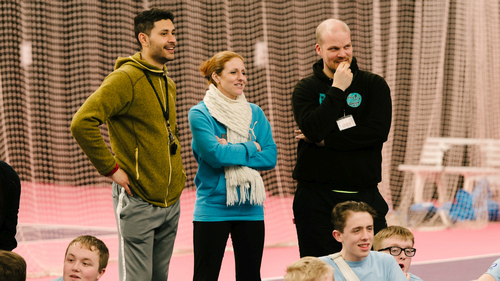 In order to help ensure a safe environment, we provide information and training opportunities to enable those working with children in gymnastics to respond appropriately if they are worried a child may be at risk or suffering abuse. 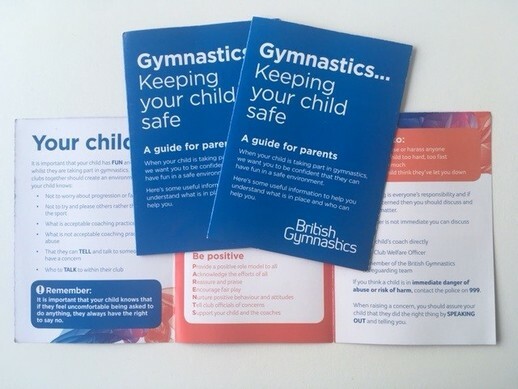 British Gymnastics recognises the valuable role parents play in keeping children safe in sport and how their positive influence supports children to develop to their full potential and enjoy their time in sport. In order to assist, please find here a link to national guidance for parents. We have designed our new leaflet ‘Keeping your child safe’ a guide to parents, which provides useful information to help parents be confident that their child can have fun in a safe environment and how they can help. The leaflet will be included in all new membership packs. Additional copies will be available during future Safeguarding events and available on request through the Safeguarding & Compliance team or your local Regional Welfare Officer. 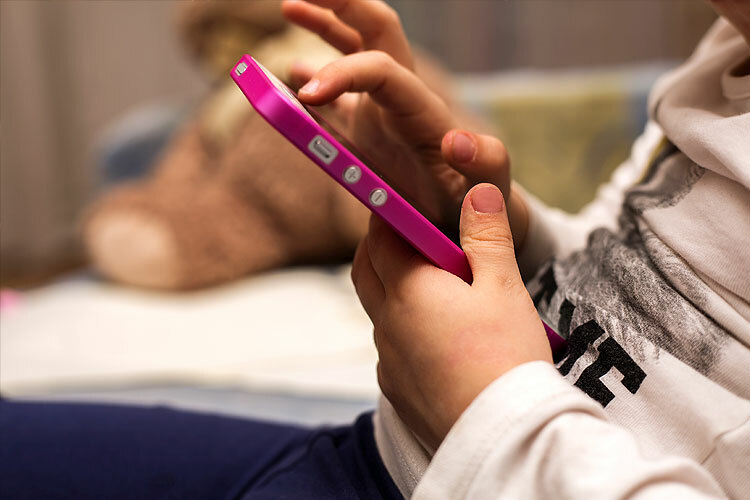 The use of the internet and the variety of social media applications and devices, continues to play a significant role in the lives of children and young people. As the digital world is constantly changing, it is important that they continue to be safeguarded and kept safe online. Our leaflet, 'Have Fun, Be Safe' has been developed for parents and their children providing tips and useful information that will help young people to understand how to stay safe and who can help them if they feel they are not. 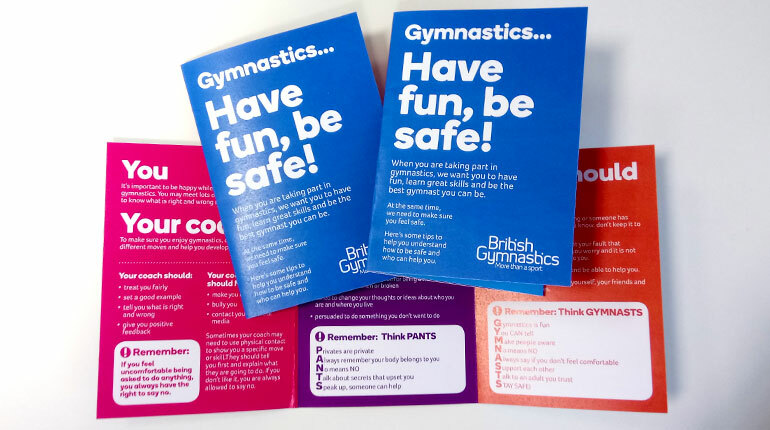 The leaflet is included in all new membership packs and contains essential information that parents can read with their children if necessary, to make them aware and continue to feel safe whilst in a gymnastics environment. Additional copies will be available during future Safeguarding events and available on request through the Safeguarding & Compliance team or your local Regional Welfare Officer. Read or print your own copy. pdf Screen-friendly version (65 KB) . pdf Print-friendly version (69 KB) . If an incident or concern is immediate and you think a child is in immediate danger of abuse or at risk of significant harm or are in need of protection, then call the Police on 999 and/or your local Social Services. If the matter is not immediate, please speak to the person on site responsible for welfare or contact a member of our Safeguarding and Compliance Team by calling 0345 129 7129 (Calls to an 0345 number are charged at a standard rate (calls from mobile phones may vary). Calls may be recorded for training and monitoring purposes). We will then be able to provide an appropriate response and effect liaison with all relevant agencies and persons concerned. All efforts will be made to keep the information confidential. The information will only be shared with those that need to know in the best interests of the child, young person or vulnerable adult. The form should be completed for all types of concern, even where no immediate action may be necessary. • Responding to child protection and poor practice concerns. • Providing support and advice in the implementation of procedures that safeguard and promote the welfare of children, young people and adults at risk. • Assist the club to be more focused in its activities e.g. involving children, young people and adults at risk in decision making processes. Any member of our organisation working with children, young persons or adults at risk, who meets the eligibility criteria is required to complete a criminal record check and our recognised Safeguarding training. The Disclosure & Barring Service (DBS) have updated their Identity (ID) checking guidelines for basic checks and standard/enhanced checks. The new ID guidelines currently run alongside existing guidance. However from 3rd December 2018, the existing guidelines can no longer be used and will be removed from their website. These new guidelines, which must be used from that date, will allow more people to access DBS services without compromising the robust disclosure process, which ultimately helps protect vulnerable groups, including children. Checking by video. A live video link can now be used for ‘face-face’ examinations of identity documents. However, it is important to note that the person carrying out the identity check must be in possession of the original documents. Irish Passport Card. An Irish Passport Card has been added to Group 2b. New documents available for non-European Economic Area applicants. These include a Permanent Residence Card issued by the Home Office to the family member of a national of a EEA country or Switzerland; a Positive Verification Notice issued by the Home Office Employer Checking Service to the employer or prospective employer. Changes to requirements: A passport is no longer required as an additional item for a current Residence Card; a current Immigration Status Document containing a photograph; a current Immigration Status Document. Any member of our organisation working with children, young persons or adults at risk, who meets the eligibility criteria is required to complete a criminal record check and our recognised Safeguarding training. The initial Safeguarding training, which is valid for 3 years, must be a face to face workshop and delivered by a recognised training organisation. To enhance national Safeguarding training, we provide a sport-specific online Safeguarding Refresher course which can be used to renew Safeguarding after completing a face to face course, and an online Foundation Safeguarding training course designed for 16-17 year olds who frequently volunteer or work in gymnastics. In addition, we also provide a Time to Listen course for Welfare Officers. To access our courses please click here.